Spinning, Cassidy, Coastal Knits and a new job! The past few weeks have been incredibly eventful and I have so much to share! First, at the Reno Celtic Celebration I met the ladies of the Carson Sierra Spinners and Weavers, and after a brief lesson I was completely hooked on spinning. It is so cool to take a pile of fiber and turn it into yarn. I am not very good yet and my yarn is coming out a thick and thin approximately bulky weight, but I am still learning! At least the yarn is soft and brightly colored, and hopefully I can find something perfect to make with it! 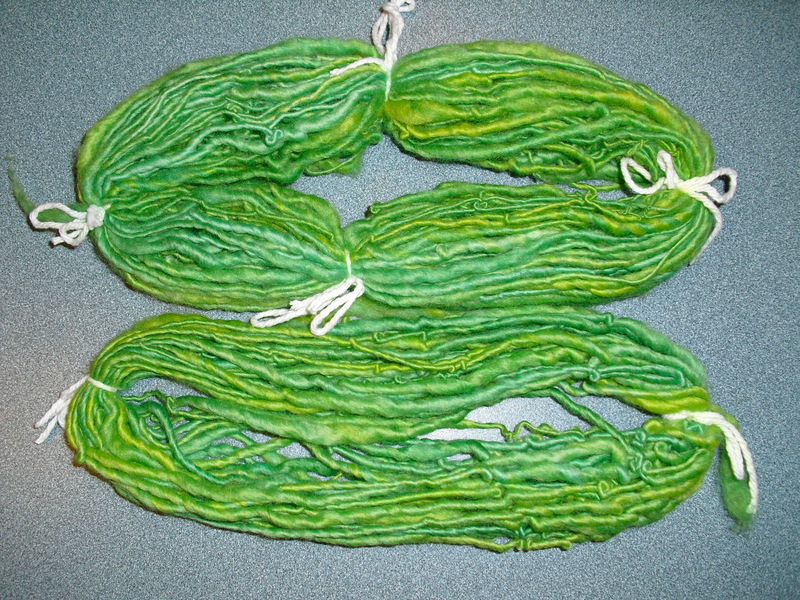 Give me time and I intend to create perfectly spun, beautiful yarn! As for knitting, my Cassidy cardigan is progressing beautifully. The Miss Babs Yowza Whata Skein is gorgeous and soft and so far I just love it! 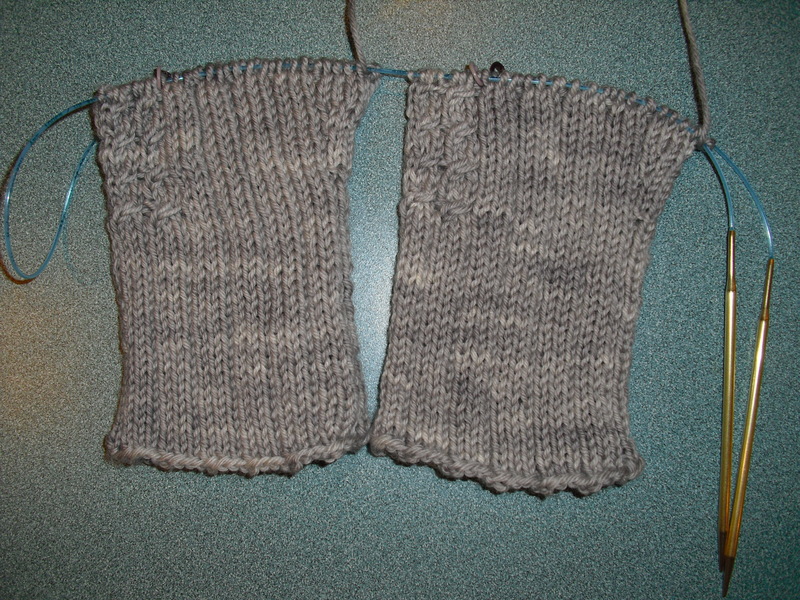 I have completed the back and two fronts and am now working on the sleeves. I decided to use the sleeves as an opportunity to try a new technique. I am doing them two at a time magic loop. I have never tried this before, however, the concept of magic loop knitting seemed simple enough so I decided to give it a try. I have to say, for the first few rows I kinda hated it. It is hard to keep the cable twisting and looping the way you want it too until there are a few rows of knitting on the needles to help weigh it down. In the end though, it is worth it to me because now I can be absolutely sure that each sleeve is coming out exactly the same. After I finish the sleeves it is the home stretch with just blocking, sewing, button bands and the hood left to do. Wait, on second thought, that is actually a lot of work...that's ok, the end product will be worth it! Plus I am eye balling the Rocky Coast Cardigan from Coastal Knits and as more and more gorgeous projects pop up on Ravelry I am sure that I won't be able to wait too long to cast it on. 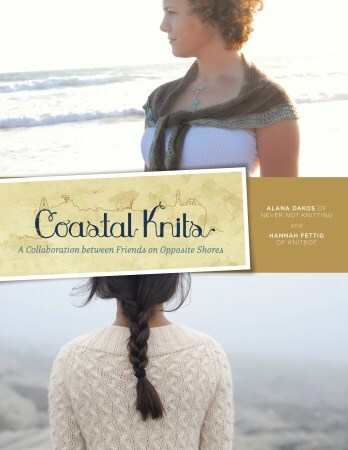 Speaking of Coastal Knits...go buy it now! I can't recommend it more, and nearly every pattern is going into my queue. It is a joint publication by Alana Dakos of Nevernotknitting and Hannah Fettig of Knitbot. Though they have very different styles, the coastal thread maintains cohesion throughout the book and the end product is ten beautiful patterns that flow together perfectly. Also, they have a story for each pattern which gives you an inside look at the creative process behind each design, making them even more appealing in my opinion. In addition to the Rocky Coast Cardigan, the Gnarled Oak Cardigan, the Cambrian Cowl and the Rustling Leaves Beret are all on my list! In short, check it out, and I am sure you won't be disappointed! The final piece of news I have is that I have a new job! As of yesterday I am the newest employee of Jimmy Beans Wool, a fabulous yarn shop based in Reno, but with a large online business as well. I am so excited to be working there, and can't wait to get started next week. I attended a dinner Thursday night where I meet most of my new coworkers and they are a fabulous group of ladies! Although there is a part of me that is sad to be leaving archaeology behind, I think that I am going to be much happier with this job.